The all-new 2020 Chevrolet Silverado HD will launch later this year, but we won’t have to wait that long to see what’s new in the heavy-duty truck. Updated engines, a stylish look, and an all-new transmission help the Chevrolet Silverado HD make the jump to comfortable and capable like never before. A bold new design makes the 2020 Chevrolet Silverado HD easy to spot on the road. A premium grille and tough horizontal lines give the truck an intimidating presence. The design is certainly something to talk about, but the real story lies under the hood. An all-new direct-injected gas engine replaces the outgoing 6.0-liter V8 engine. The engine will come paired with a six-speed automatic transmission. The 6.6-liter Duramax® turbo-diesel V8 engine continues to produce 445 horsepower and 910 lb-ft of torque. The returning diesel engine comes mated to a new 10-speed automatic transmission that maximizes capability. 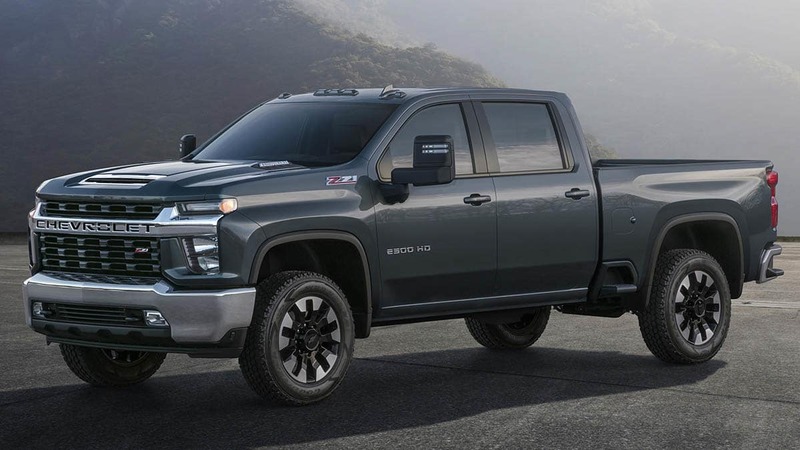 According to General Motors, the 2020 Chevrolet Silverado HD will feature higher payload and towing capacities compared to the outgoing model. New trailering technologies will likely mirror the systems currently found in the Silverado 1500. If so, drivers can expect trailer-theft alert, a backup hitch camera, and remote brake light check, all of which make driving the Chevrolet Silverado HD more convenient. Learn more about this heavy-duty pickup with a visit to Wilson GM.